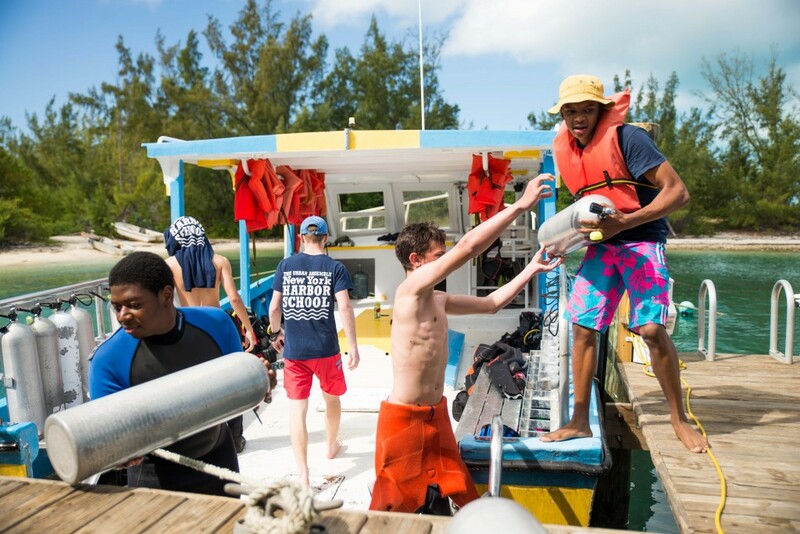 Last week the New York Harbor School, located in the heart of New York Habor, visited The Island School for their 6th consecutive year. 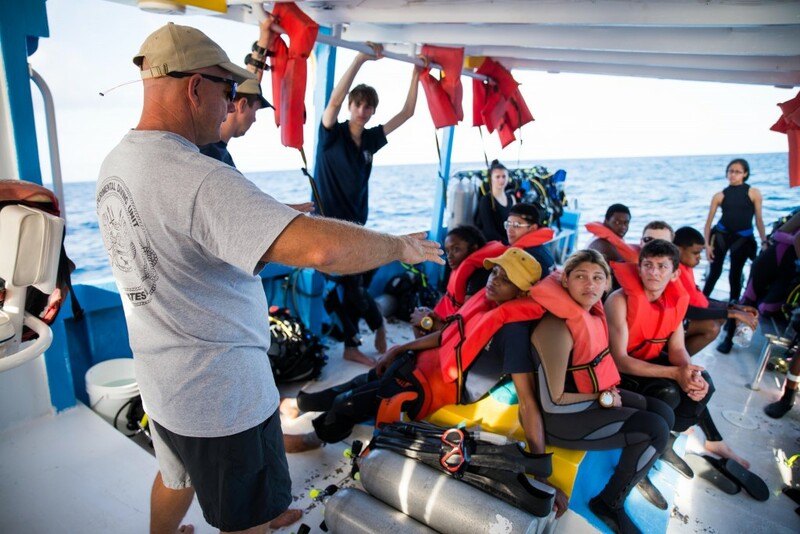 Each year NYHS sends a group of students with instructors Joe Gessert and Liv Dillon to participate in a week of intense SCUBA training. 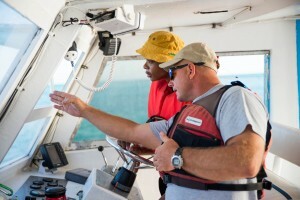 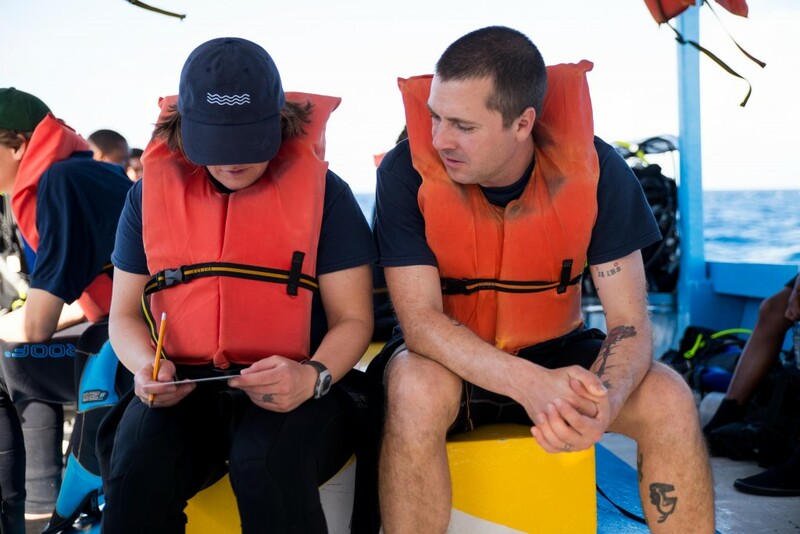 In addition to the two instructors, NYHS sends down a student Dive Master and student Dive Master in-training to help organize and help out with dives. 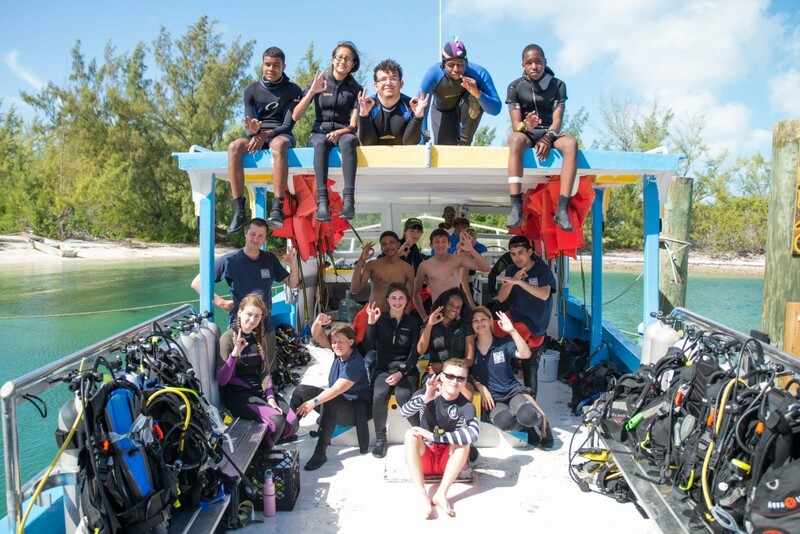 Over the course of the week, all of the visiting 10th and 11th grade students completed their PADI Advanced Open Water SCUBA certification, participated in daily morning excercise, and explored Eleuthera. 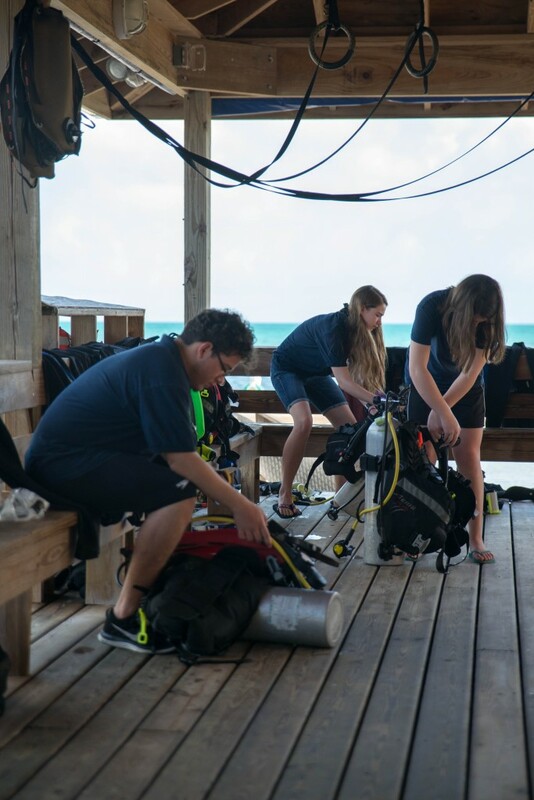 With over 20 group dives led by Ron Knight, the director of waterfront and SCUBA operations, the group collectively logged over 300 dives! 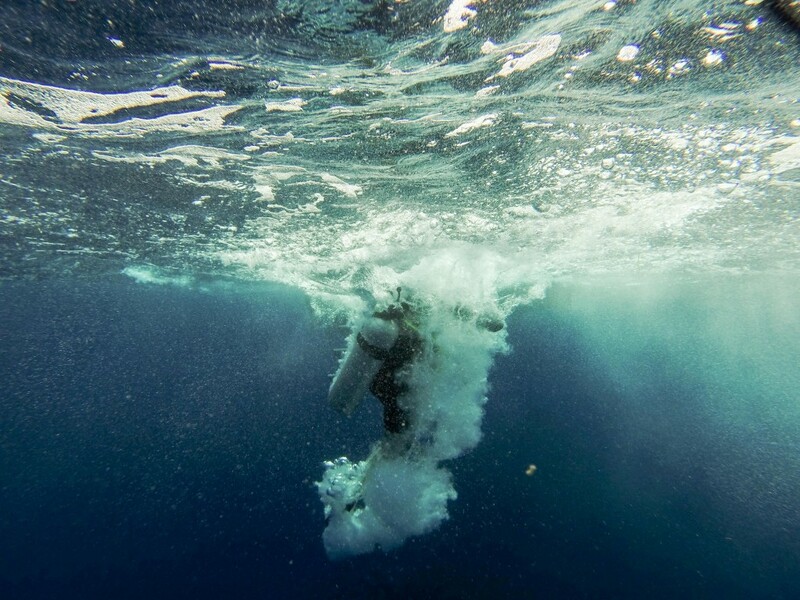 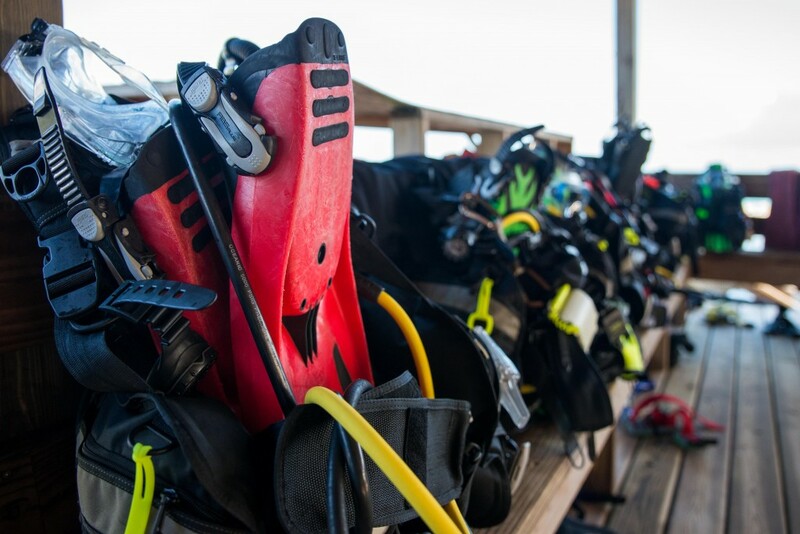 These consisted of both shallow water reef dives and deep water dives of the wall of the Exuma Sound, as well as navigation and several night dives. 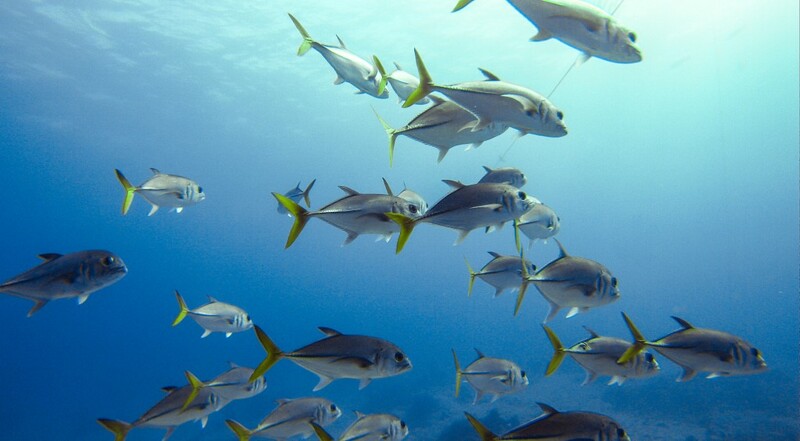 Amongst their favorites, one that stood out for many of the students (and was often requested!) 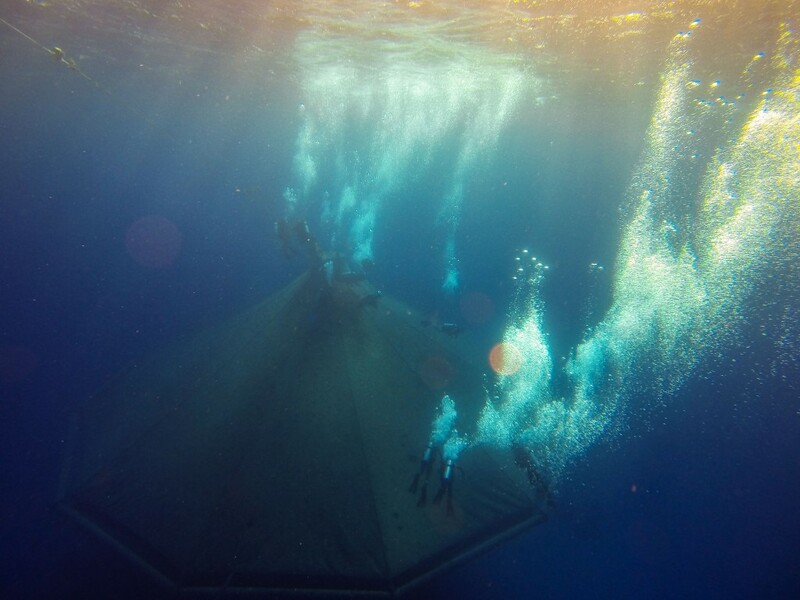 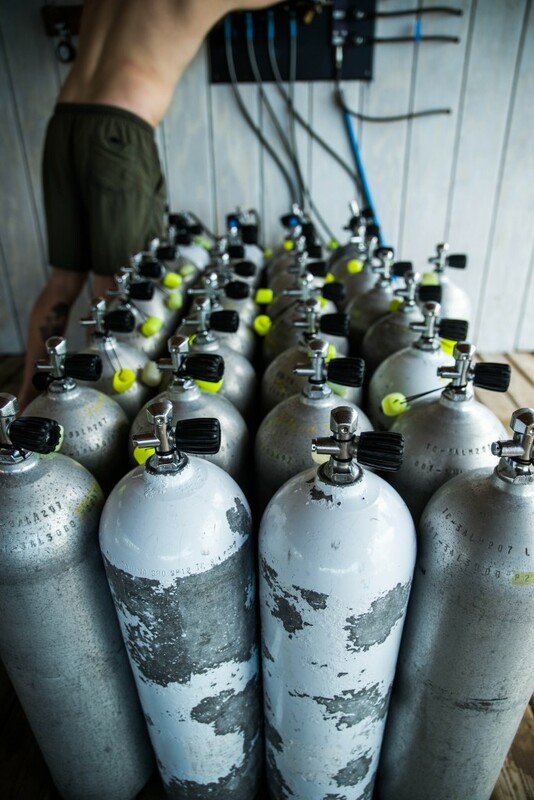 was diving The Cape Eleuthera Institute’s offshore aquaculture cage, also known as “The Cage”. 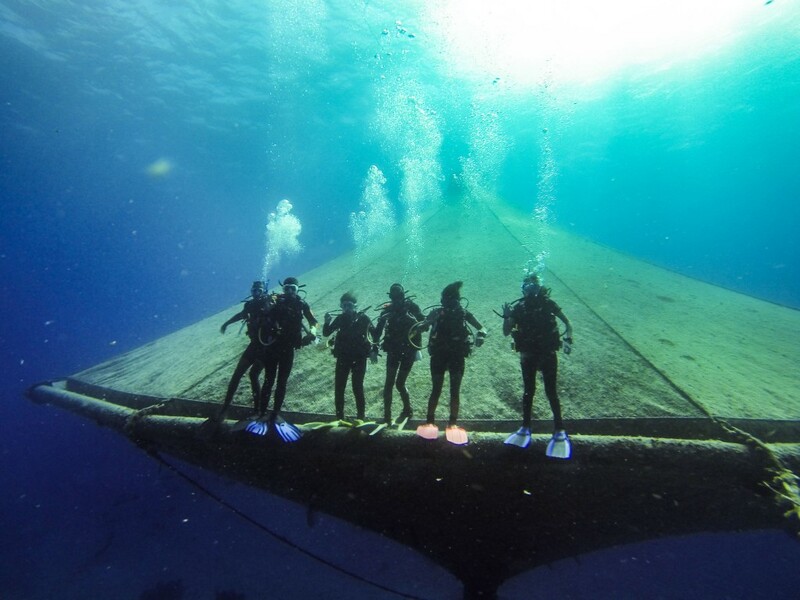 The Cage is a massive underwater structure located a mile off the coast of Eleuthera at a depth of about 80ft. 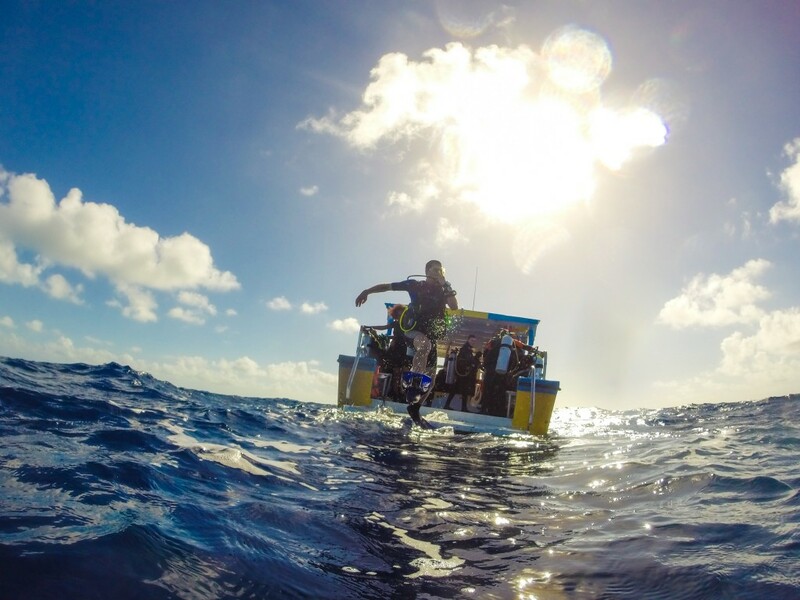 When diving The Cage one is transported to a surreal underwater landscape, which includes what looks like a giant space ship to the west and the 3000 ft depth of the Exuma sound to the east! 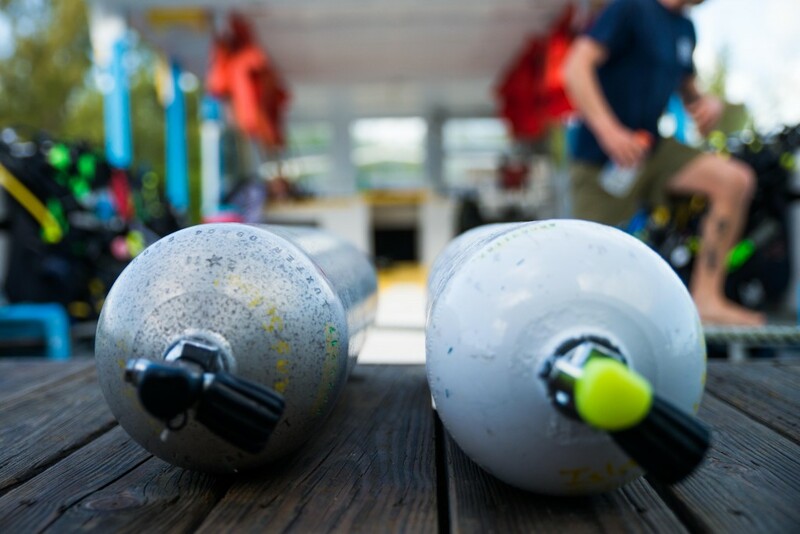 With the opportunity to see various species of sharks, schools of horse-eyed jacks, and a massive grouper that is known to reside below the cage, it’s no wonder The Cage was a favorite dive for many of the students! 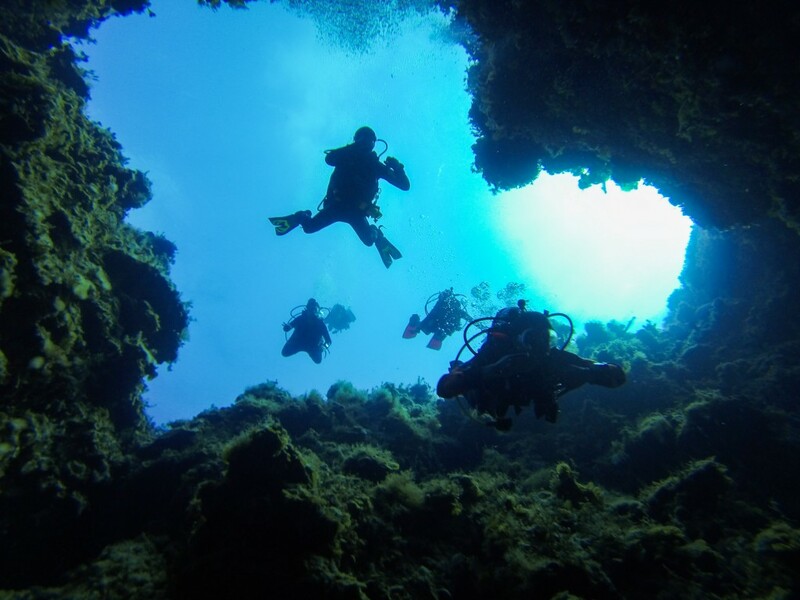 Another notable dive was Hole in the Wall, a deep dive along the wall of the Exuma Sound. 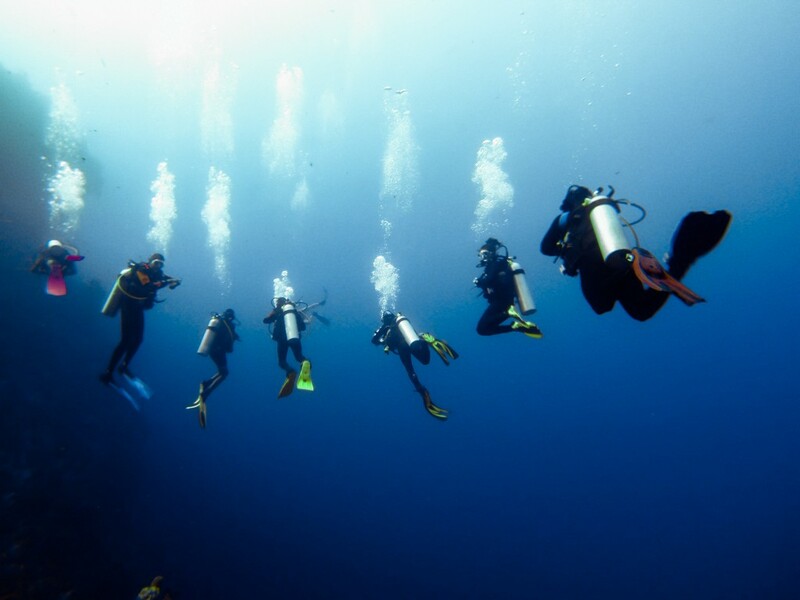 This dive includes a swim-through of a bus sized tunnel that starts on top of the reefs at 70 ft and exits along the wall of the Exuma Sound at 100 ft looking out into the 3000 ft blue abyss. 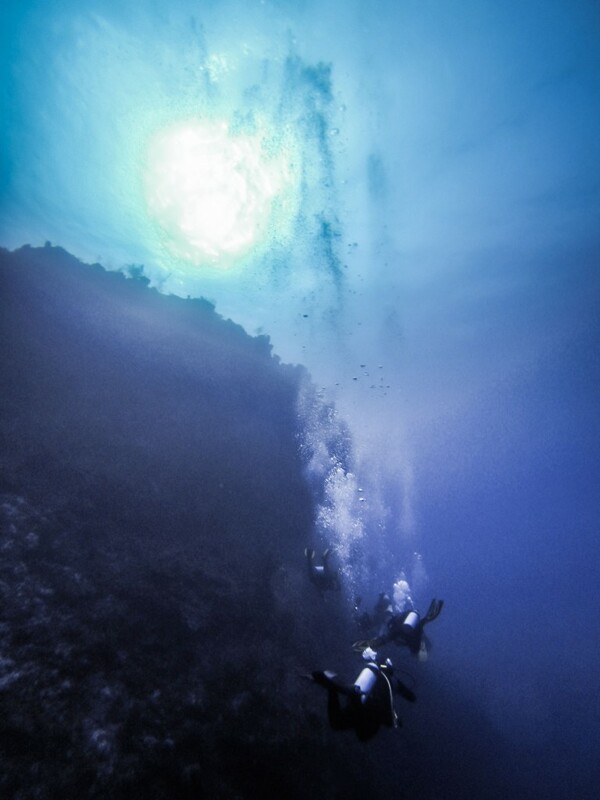 You can check out a quick timelapse of their dive at Hole in the Wall on our Instagram! 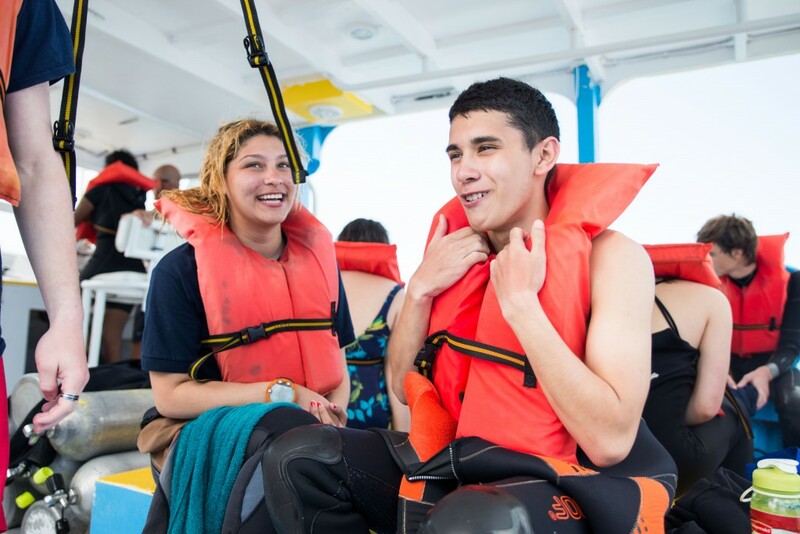 NYHS finished their week with a trip “down island” snorkeling at the Green Castle Blue hole where they spotted a school of eagle rays! 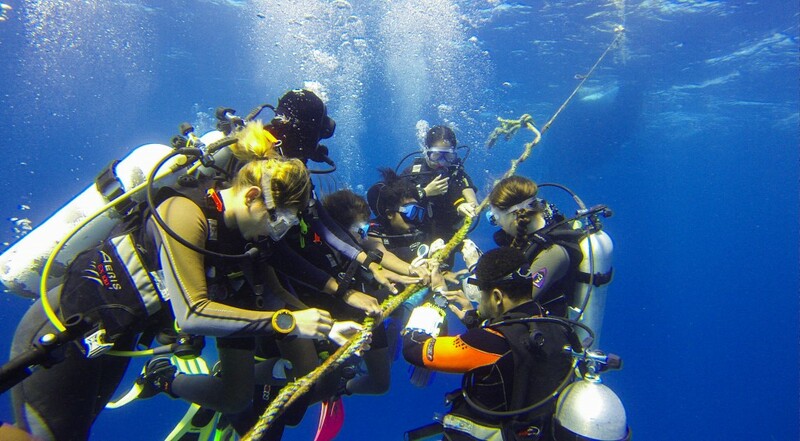 The New York Harbor School and the Island School have a strong history of partnership with the facilitation of thier annual diving program at The Island School and NYHS sending students to the Island School Semester Program. 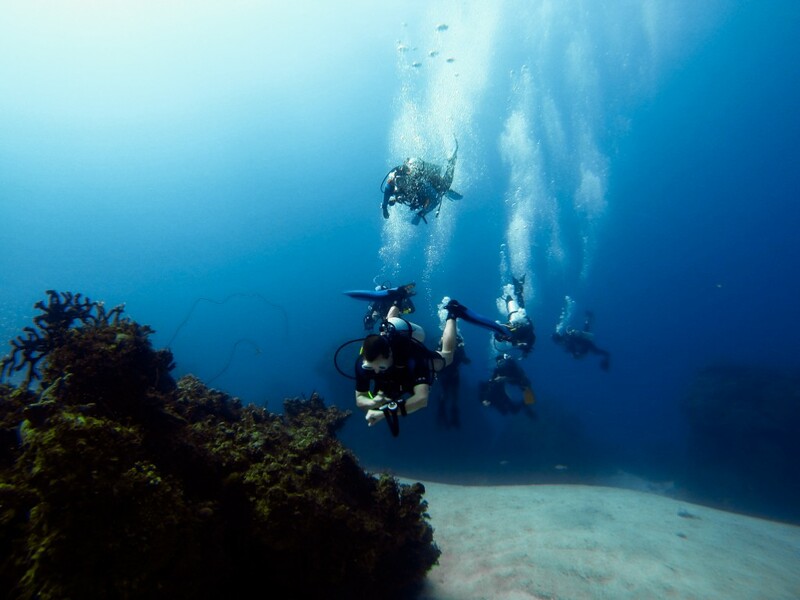 Here’s to many more years! 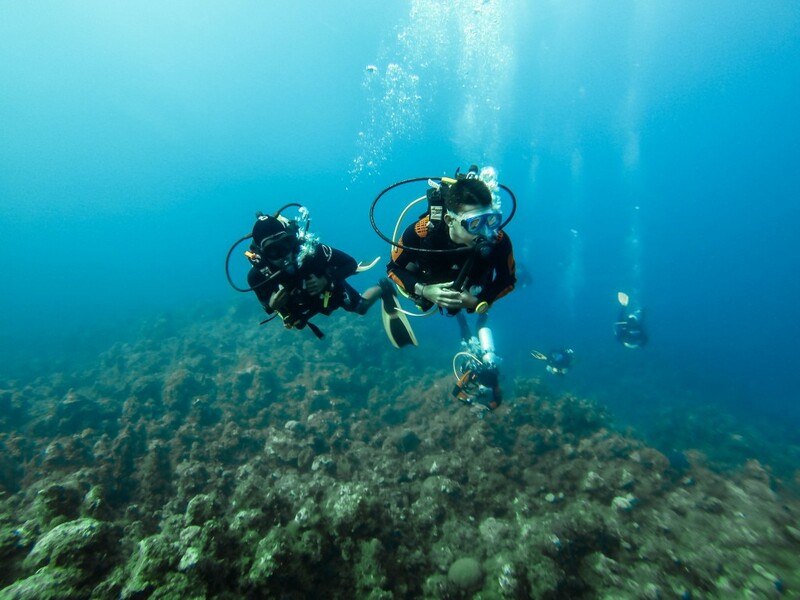 These kids sure use a lot of air!